How to view the folder size in Google Drive? In Google Drive, you can use Sort split-button and choose Quota Used to show the size of each file there. However, folder sizes are not shown. I guess it's really a basic requirement in order to manage folders in Google Drive. I have a folder full of subfolders and files, and I can't go summing up the size of each file recursively. I need to decide whether deleting this folder or not. But I need to know it's size beforehand. Is there any way to see how much volume a folder has taken? 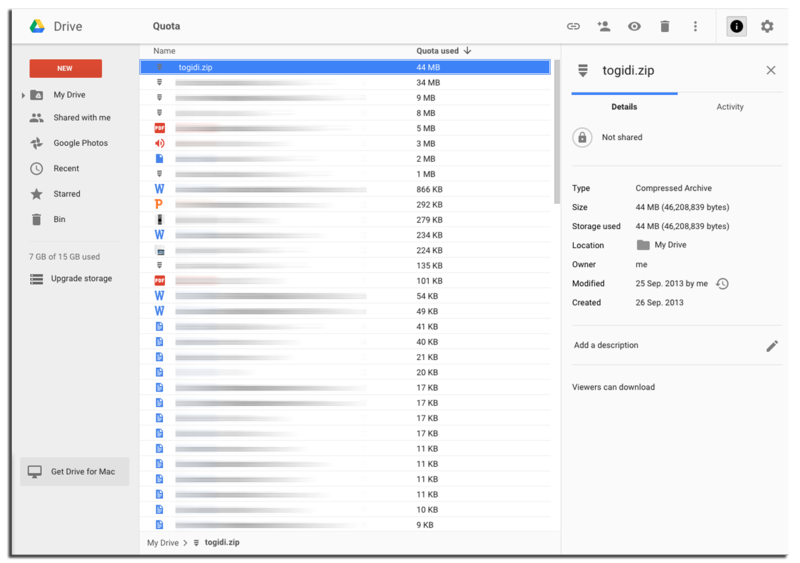 Not exactly by folder, but great to find where are the big files, thanks to this pretty hat tip: Sort your Google Drive Files by Size to Find the Biggest Files. It will create two files in the root of your Drive, one displays progress and is deleted after script is completed. Other is the report which lists all folders and sizes. It looks like this. UPD: the script was updated so that if it runs too long and is stopped, just run it once more and it will resume from where it left, using data stored in "Getting Folder Sizes ..." file. If you have Google Drive installed on your PC or MAC, use Windows Explorer (PC) or Finder (MAC) to easily check the folder sizes. I could not find a way to do it from a web browser. Since there are no (currently working) answers here, I will post an answer that is slighly inconvenient, but at least it works, at least if the folder is less than 15 GB (the free storage amount offered by Google Drive). Create a new Google account, (this is not a very long process, thankfully) and share the folder with that account. On the new account, copy the shared folder so that it is also on that account. 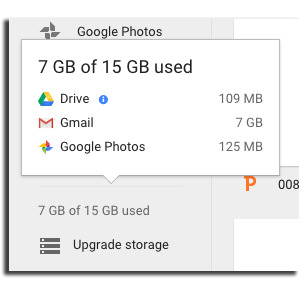 Your new Google account will tell you how much storage you have used. That is the size of the folder. After getting that information, you can delete the whole folder. This whole proccess can be done in a few minutes. I wanted to comment on brasofilo's answer but I yet don't have its privilege. in no need of such operations. I have google-drive locally installed on my PC. With the tool JDiskReport (free, great tool!) you can easily see the usage in the tree of folders and subfolders. How to disable folder view? How can Google Drive search show the containing folder name? How can I view the number of files in a folder from Google Drive? How to view the exact size of a file in Google Drive (e.g., expressed in bytes)?